AXIS KITCHEN is a European brand of kitchen equipment. 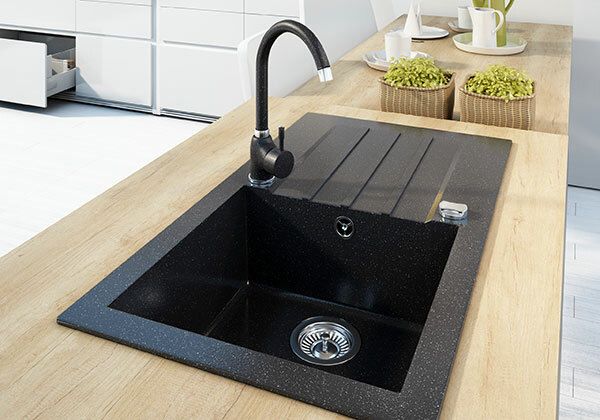 Our core business is the production and sale of high quality sinks with granite. The history of our company is now almost two decades related to the production of composite materials. We work with the best professionals in the industry, and our staff have over 15 years of experience in the segment of kitchen sinks and batteries. At the moment we employ over 50 people at the manufacturing plant and sales office. In 2014 we expanded our range of highly hygienic sinks made ​​of tempered glass and kitchen faucets matching color to sink. We are distinguished: attractive design, fast order processing period, the full logistics of delivery and the high quality of our products. 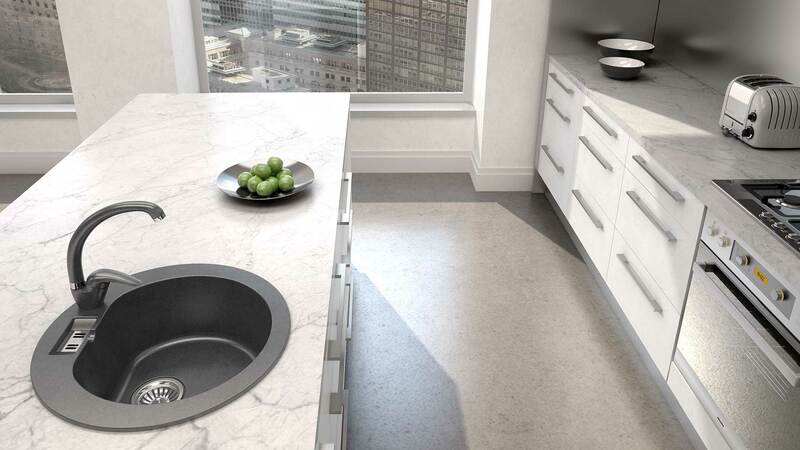 Collaborating with multiple kitchen studios all the time, we follow new trends in the kitchen interior. Here you can see some of our suggestions. Use the ideas of our designers! Did you install our product in your kitchen? Send us a photo: sprzedaz@axisgroupcompany.com. We will put it on our website! One material, so many properties. 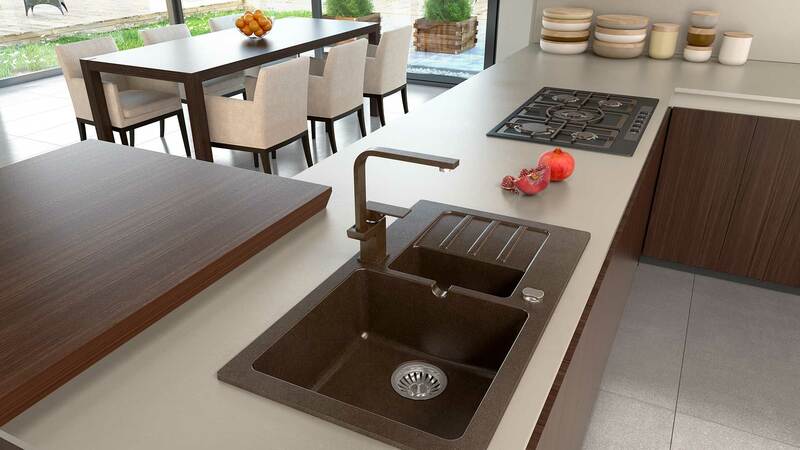 Here are the most important characteristics of our sinks along with information about their properties to the users. 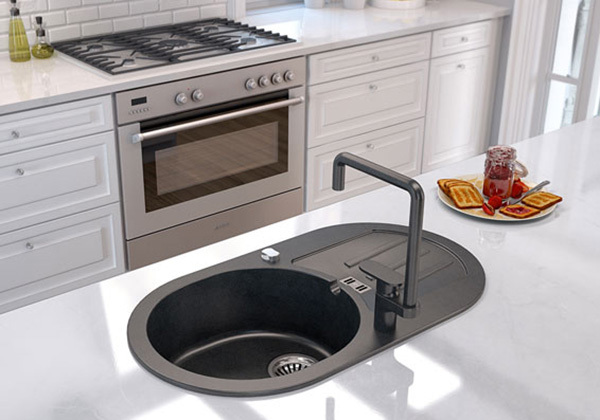 Each sink comes with a template, handles and siphonn. The coating is resistant to damage. You will enjoy the beautiful appearance for years. We developed our own material with extraordinary strength. Our products meet the standards relating to temperature. 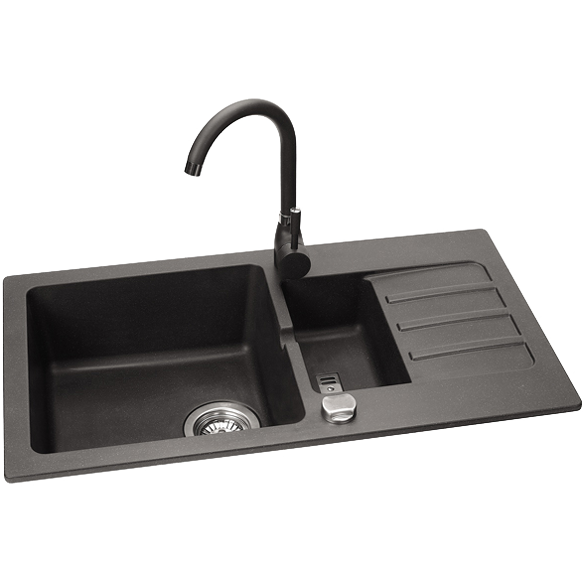 Our sinks are characterized by high hardness and strength. We provide a 15-year warranty in the EU. Our products meet the standards and are certified by the NIH. The heart of our company beats there. The ideas and solutions are born her , and customers’ needs are converted into final products. Striving for the highest perfection every day we improve and modernize our systems and methods. For each new project we approach with enthusiasm and get motivation from the success achieved. 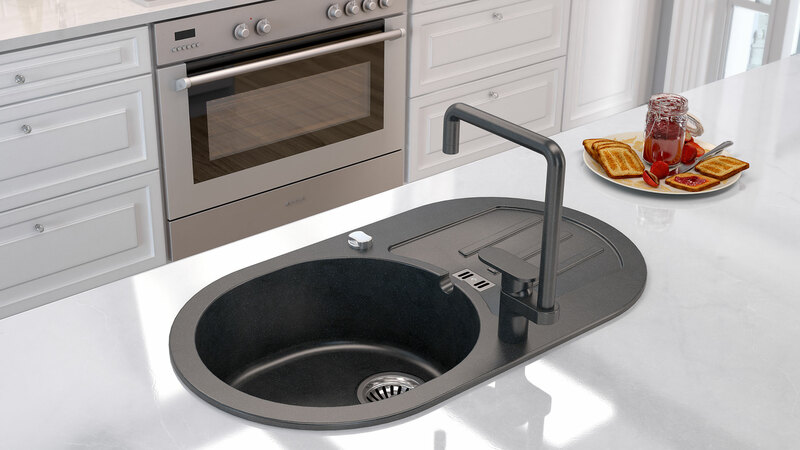 The basis of our offer are sinks. 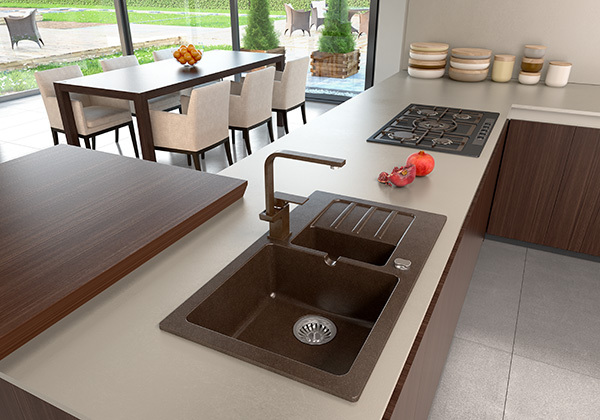 We offer a wide range of composite models made in black, beige and dark chocolate colors which are complemented by a large selection of faucets that are color matched to sinks. Our offer has been expanded this year also by some interesting designs of the sinks with tempered glass and stainless steel. We invite you to familiarize yourself with our offer. 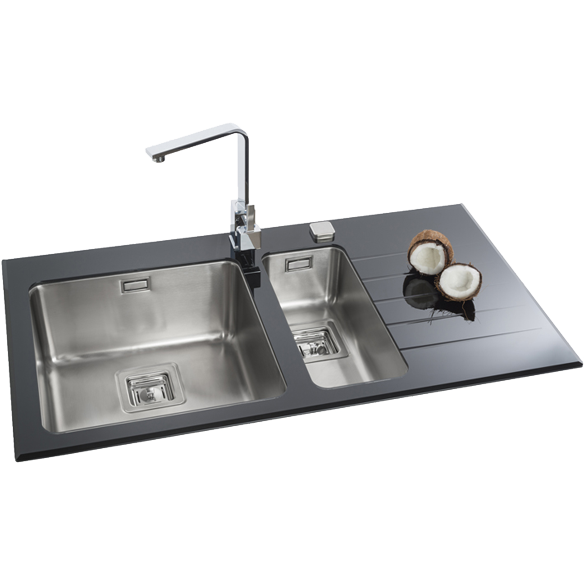 Being confident in the quality of our sinks, we give 15-year warranty throughout European Union. We’d like you to read the care instructions that are attached to the product. The main element of each kitchen faucet is cartridge. 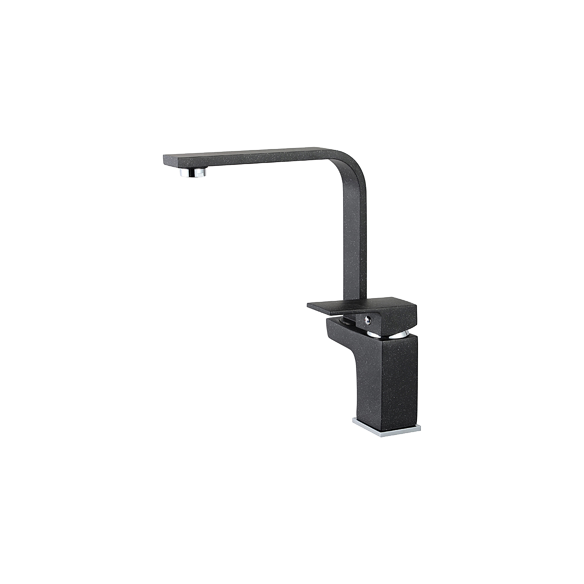 Our faucets are made only from ceramic cartridges. Their quality is evidenced by the fact that we give 5-year warranty on its reliable work.